Some Americans may not be familiar with shaksh(o)uka, a spicy egg dish commonly consumed in the Middle East and North Africa. 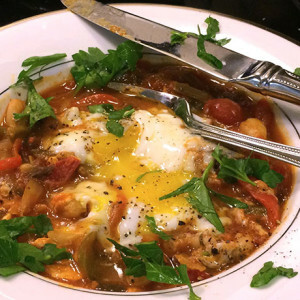 In the US and England shakshuka is sometimes referred to as “eggs in purgatory,” and the seasoning can tend toward Italian rather than Middle Eastern. My version keeps with the traditional flavors and features harissa, a key ingredient that packs on the heat. (And, yes, you can use a high-quality store-bought harissa if you don’t feel like making your own.) Of course, as with all things I share with you, the key is to get healthy dishes like this into your life in a way that works for you, so include herbs that tickle your fancy and turn up the heat as hot as you’d like. Whatever you call it, whichever spices you choose, however fiery you make it, the result is always delicious—because what isn’t glorious about eggs gently poached in a richly flavored tomato sauce? Heat the olive oil over medium in a saucepan then add the onions and peppers, season with salt and pepper, and sauté until soft, about 6 minutes. Stir in garlic, harissa, and paprika until fully coated and fragrant, about 45 seconds. Mix in tomatoes, water, and white beans to combine and simmer over low heat until somewhat thickened, about 10 minutes. Taste and reseason with salt, pepper, and spices as desired. Create a small ditch in the sauce for each egg (make sure you can’t see the bottom of the pan, though). Crack egg(s) into the hole, cover the pan, and simmer over low heat 3-5 minutes. Spoon the sauce with one egg each into a bowl, sprinkle with parsley, and serve immediately. An extra sprinkle of salt and pepper and a drizzle of olive oil never hurt, either. Note: The recipe as written will provide sauce for about two one-egg meals. For larger portions, serve two eggs per person. Double or triple the ingredients as written and make it in a large frying pan to serve a crowd. I love making shakshuka in the summer, when fresh tomatoes, peppers, and herbs abound at the local farmers markets. Happily, however, canned tomatoes do a fine job—and in some ways are even better because the dish will come together a lot sooner rather than waiting for fresh tomatoes to break down and thicken. Either works! Those familiar with the dish might note the unusual addition of white beans to my recipe. Most people don’t consume enough legumes for their health, and white beans pair beautifully with tomatoes. The beans add a pleasing texture contrast to the dish and also increase its satiating power due to the extra fiber and protein, which help you to feel full (hence manage your weight). Play around with the ingredients to suit your own palate; I sometimes include thinly sliced fennel for a fun change. Many people top shakshuka with crumbled feta or parmesan, which would obviously be delicious though I don’t find the cheese necessary to the dish. I adore tomatoes and tomato sauce of all kinds, from Italian to Indian, so it will come as no surprise to my regular readers that shakshuka fits perfectly into my repertoire. Another reason I love this dish so much is because it’s perfect any time of day. 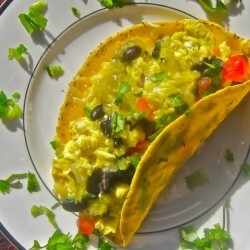 I made this recipe as part of a recent interview on the science of breakfast to showcase the savory side of morning eating. Yet in my world, this dish is much more likely to appear on my supper table, perhaps with whole wheat pita or crusty whole grain bread and a salad to complete the meal. 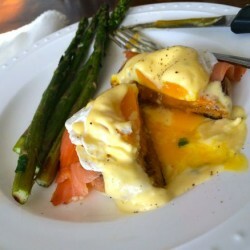 Eggs make a delectable dinner—quick, too!—and they appear on my evening menu in some way almost weekly. A few sliced oranges and pomegranates add a sweet and pretty note to your meal. 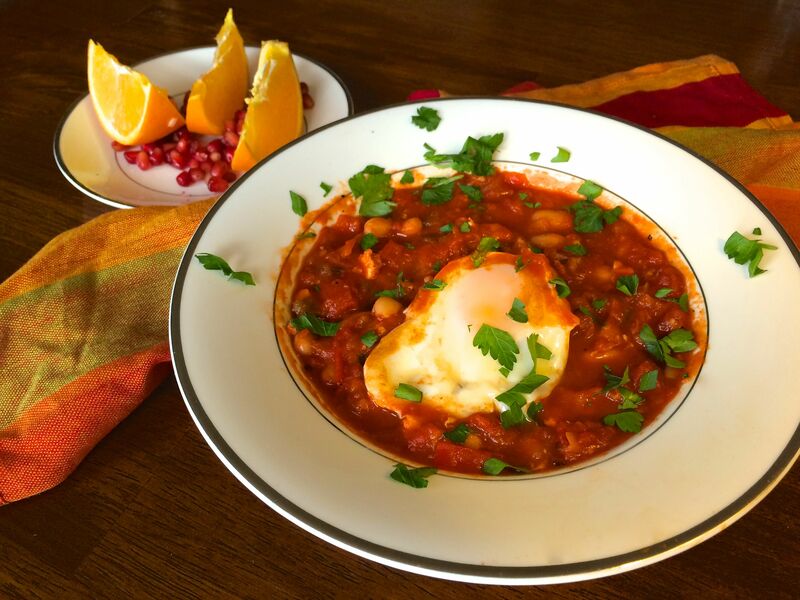 Breakfast or brunch, lunch or dinner, whenever you choose to make shakshuka you are sure to please your tastebuds—and you can feel especially good about all the vitamins, minerals, fiber, and phytonutrrients you’re giving your body in this nutritious and satisfying plant-based meal. And I think it goes without saying that it’s definitely a better choice than a donut. Want to hear me talk more about shakshuka, and the science of breakfast in general? Click here to listen to the interview on Gastropod and read the article. 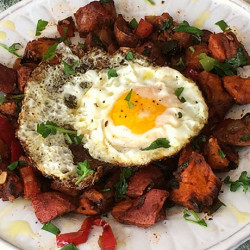 And if you like this, you’ll probably enjoy my sweet potato hash, too.